The Indian coffee market is booming with many international chains looking to expand its business to take a share of the ever growing market. With plethora of branded options available to the coffee drinkers of India, there is a distinct need for a personalised touch. The gourmet coffee makers of India, with their locally sourced products, are hoping to fill the void and Flying Squirrel, one of the up and coming players has been part of this emerging market for quite some time. An exclusive coffee session with Ashish D’Abreo, founder of Flying Squirrel, gave us a behind the scenes look at the growing gourmet coffee market in India, as well as Flying Squirrel, the locally sourced artisanal coffee brand. The inspiration behind the venture was solely to provide coffee drinkers the experience of enjoying a personalised and creatively cultivated brand of coffee. Innovative management techniques provides the basis for producing the coffee Flying Squirrel has come to be known for. 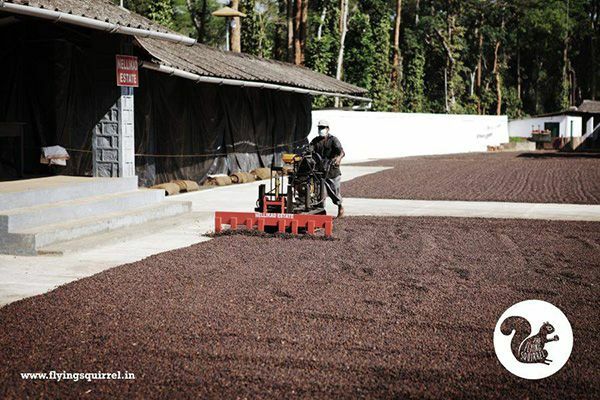 “Most of our coffee is sourced from our farms in Coorg. Tej runs these farms, bringing in a complete new-age approach to estate and cultivation management. The way we grow, process, roast our coffee is based on artistic experiments conducted at the estate with the sole objective of bringing in new depth, dimension and versatility in the final tasting cup,” added Ashish. 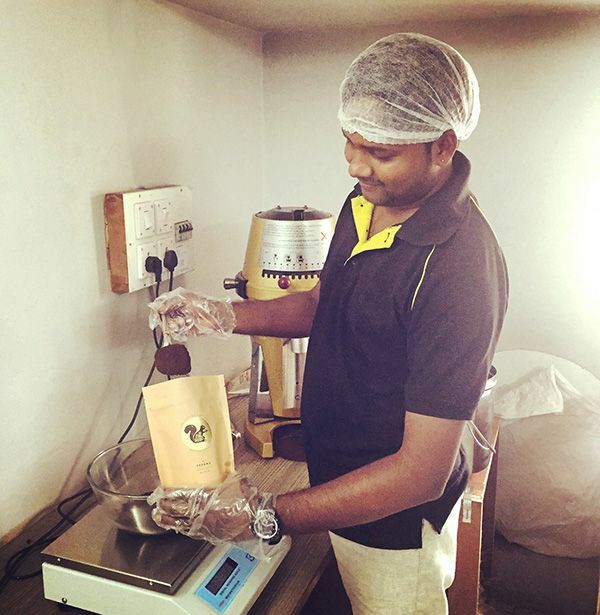 The innovative techniques behind producing coffee is what made Flying Squirrel well known among the coffee connoisseurs in Bengaluru. 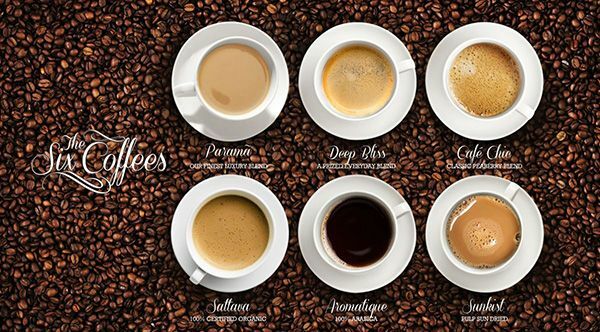 Currently, Flying Squirrel offers 7 different variants to suit anyone’s palette, Parama, Sattva, Sunkissed, Aromatique, Cafe Chic, Deep Bliss and Clouds in my Coffee. Flying Squirrel also offers a taster pack of 6 flavours, so you can pick and choose which variation suits your taste buds. The production process behind each flavour is vast and Ashish explains the process behind a few of the variants. Sunkissed – Sunkissed is a pulp sun dried / honey sun dried coffee. It is created by leaving a lot of the pulp on the bean after picking (when normally the pulp is washed off completely). We let the coffee ferment just a little bit, and the sun-dry it on brick yards and then husk, roast and grind. The brightness and fruitiness from the pulp gets into the bean and gives a lively buttery final cup. Clouds in my Coffee – For ‘Clouds in my coffee’ our monsooned malabar variant we send the beans to the coastal town of Mangalore, where the beans are exposed to humid, salty ocean air in large containers for a few months. The result is bloated bean, slightly white in appearance that gives a deep beautiful flavour in the cup. Aromatique – For our Aromatique variant, the coffee plants are grown in the midst of citrus patches, vanilla cultivations, spice patches etc. 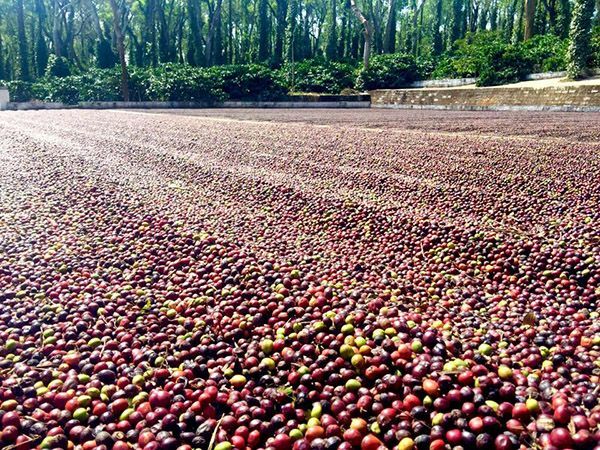 Competition in the coffee market is significantly on the rise with a large number of international chains opening shop in India in the past few years. Recently, Howard Schultz, founder of Starbucks, during a visit to India, noted that the country has become one of the largest markets for coffee consumption, with a revenue of over Rs. 6400 crores last year. International and local players like Starbucks, Costa Coffee and Cafe Coffee Day are increasingly pumping money into the Indian market with hopes to grab a share of that revenue generating cup. Although competing with the big players could prove to be futile, there is a distinct need to provide coffee drinkers with some innovation and personalisation in midst of all the big brands clogging the market. Gourmet artisanal coffee makers like Flying Squirrel aims to provide that different experience for coffee lovers. “We don’t compete with the likes of Starbucks. We will always want to be that homegrown brand that works with smaller batches of artisan coffee, creating interesting flavour notes and profiles in the final cup, and constantly assisting the coffee connoisseur in his or her discovery of coffee,” said Ashish. 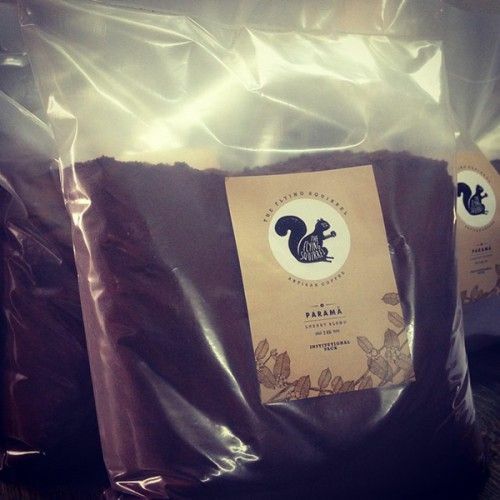 Flying Squirrel Coffee can be purchased through their online website with delivery all across India.